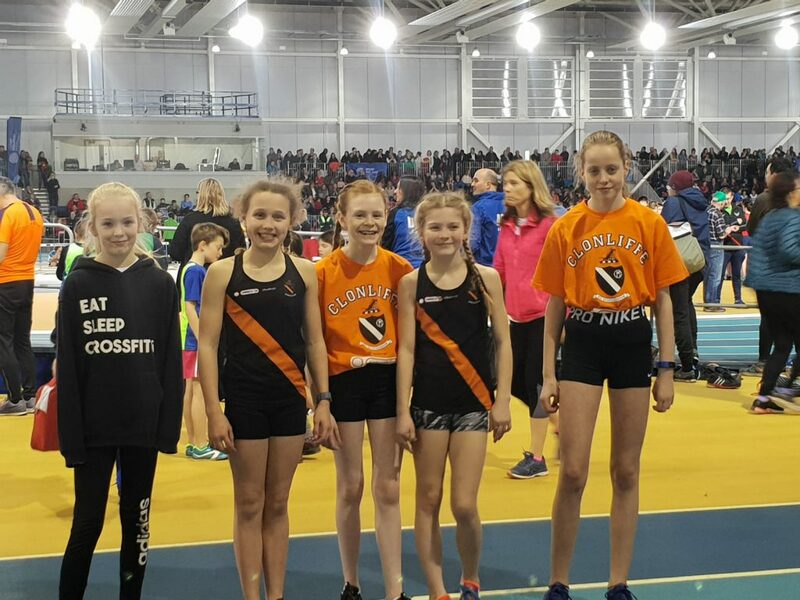 There was significant Clonliffe involvement at the weekend`s Dublin Juvenile Indoor Championships held at the NIA Abbotstown. On Friday night the track action revolved around the relays. 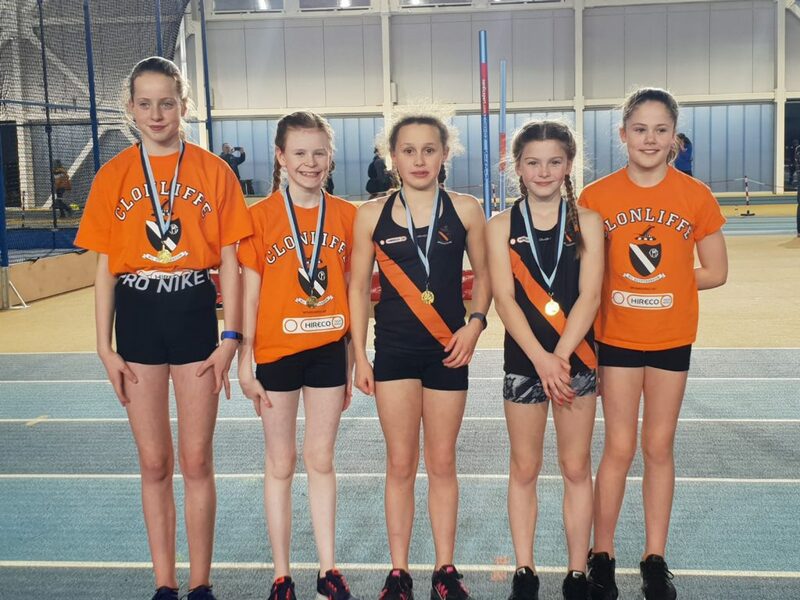 Clonliffe highlights included: the U/13 girls 4 x 200 squad of Kate Campbell, Rebecca Walsh, Ava Usanova , Sarah McDonnell, Eva McMillan and Alexandra Kelly winning the Dublin title. 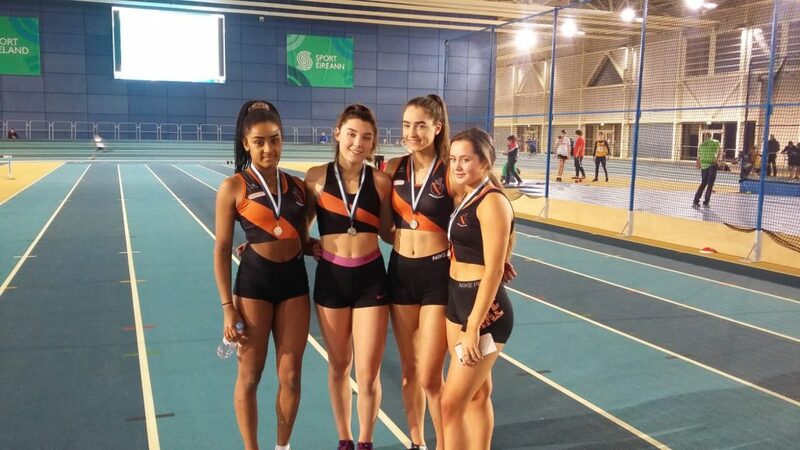 The U/17 girls 4 x 200 team of Alex Twomey, Kirstin McGrady Hogan, Holly Roche and Emma McDonnell took silver. 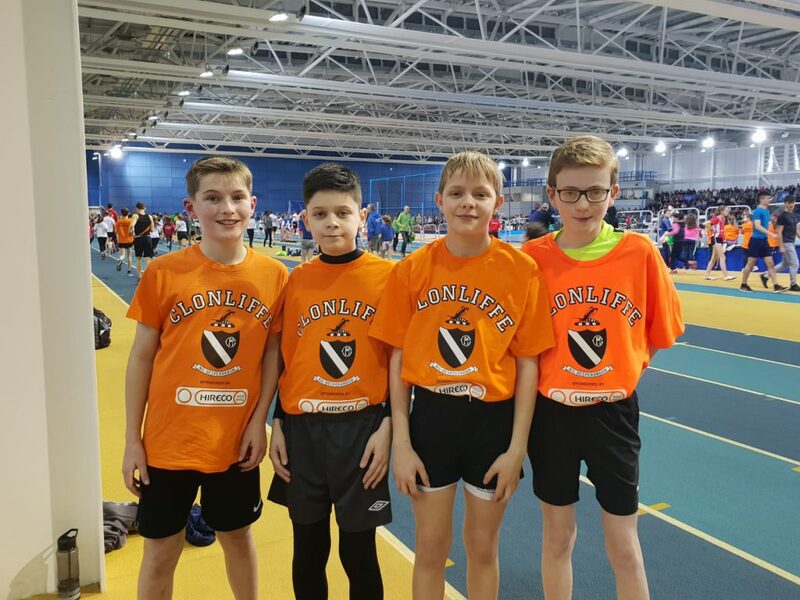 Great team efforts also by the U/11 boys team of Ethan, Conor, Cormac and Edward, the U/13 boys Jack, Colm, Angus, Andrew and Senan and the U/11 girls Ava, Una, Lana, Sienna and Fotiene. In the field events Jonas Norvaisas was once again victorious winning the boys U/16 shot. 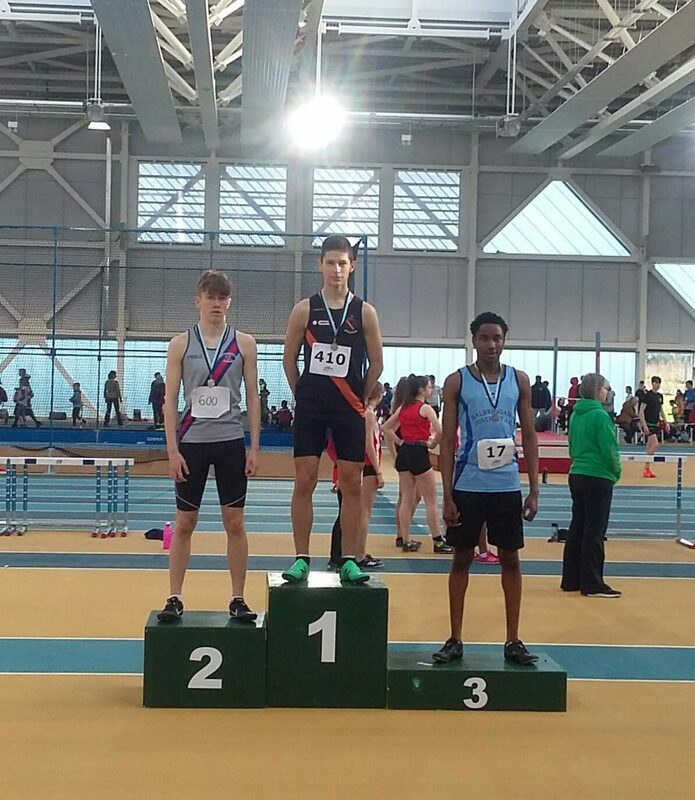 Saturday saw the 1500s where the first success came via Sean Boyne taking U/16 silver (4.39). Silver was also won by Aoife Hession in the girls U/17 race after a fine run (5.11), unfortunately Alana Fitzsimons came a cropper with a had fall putting her out of contention. Both Alex Nuroth and John Lawrence ran well in the U/17 heats but didn`t progress. 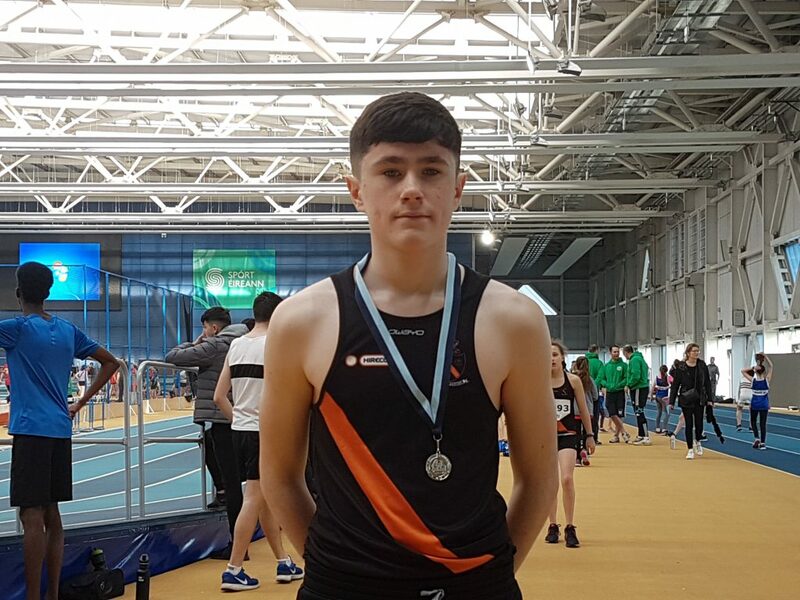 In the U/18 race Evan Foster put in a very good run but was piped on the line for bronze (4.41) with Callum Simpson, a little leg weary after his heroic run in Sunday`s European Clubs XC, 6th. 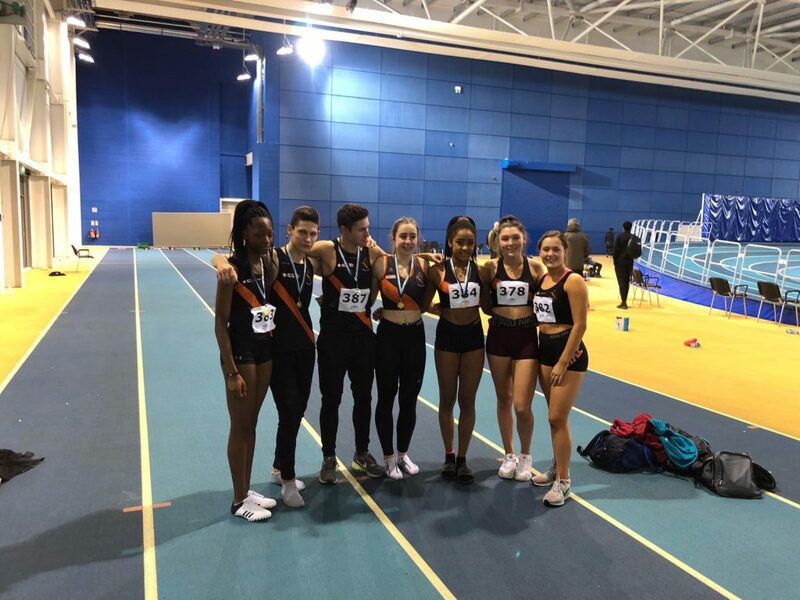 Later on Saturday afternoon and into the evening it was the turn of the sprinters to enter the arena and with some degree of success indeed. 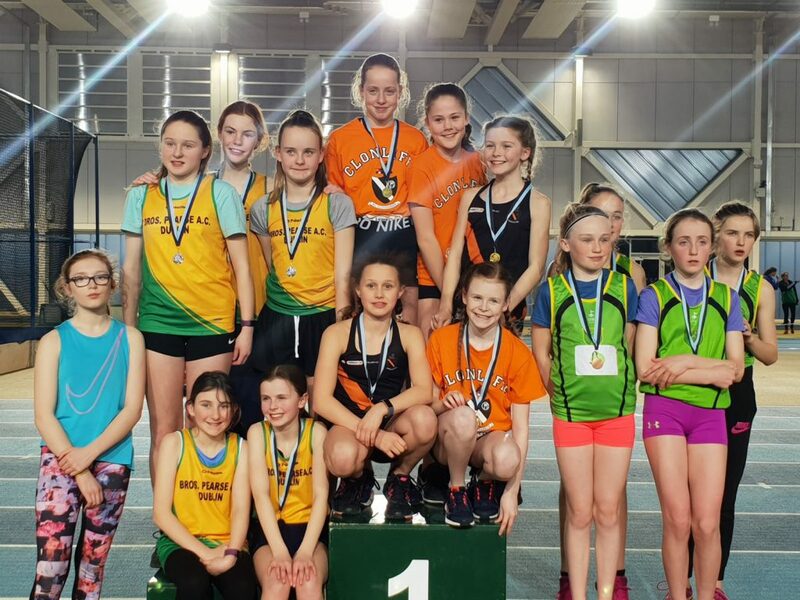 Sally Sumola took U/16 60 gold, Alex Twomey U/17 silver, with both Holly Roche and Kristin McGrady Hogan making that final and placing 4tb and 5th respectively. Val Strogonovs won boys U/17 60 gold in an impressive 7.23 and Rebecca Fitzsimons did likewise in the girls U/18. In the long jump Kristian Bosnajak took U/17 silver. Great efforts also in the U/19 400 where both Aaron Nnadi and Neil McLochlain got through to the final where they filled 4th and 5th places. Sunday was the final day of the championships and boy was it a long one! 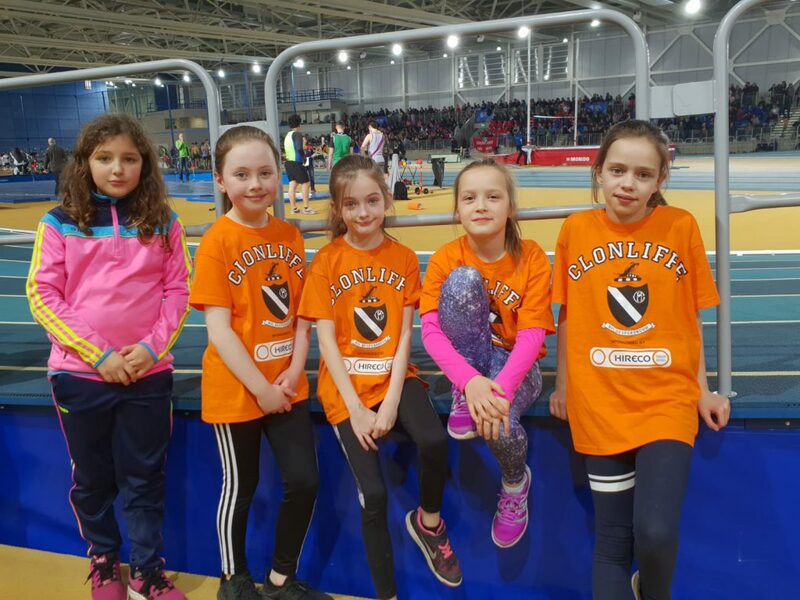 Again some excellent athletics from the Clonliffe crew. Highlights included Rebecca Fitzsimons making it an U/18 sprints double as she won the 200 day in some style. After being a little slow out of the blocks she had up ground on the back straight and then kicked for home from the final bend to come home a clear winner. 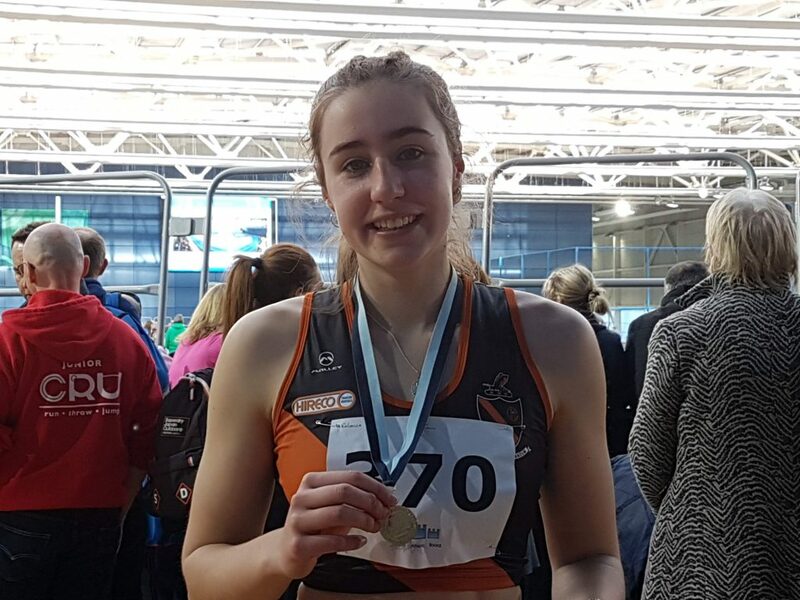 In the U/17 200 both Emma McDonnell and Alex Twomey had the final, placing 4th and 5th. In the U/16 Sally Sumola also made the 200 final placing 4th. 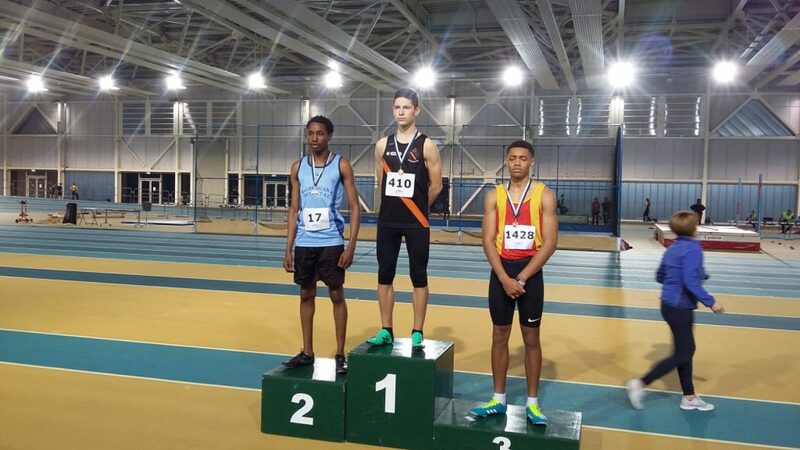 Val Stognovus after a fantastic 23.28 U/17 200 took gold to make it a sprints double. 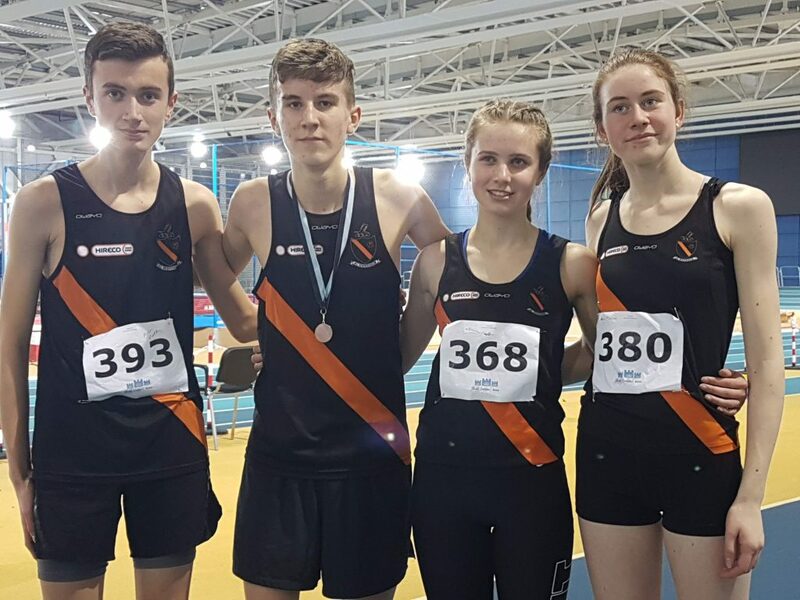 The middle distance athletes all ran well in today`s 800s with Jack Woods taking U/16 bronze some 2 and a half hours after his heat. Andrew Gaffney also made this final. Likewise Naoise Cullen made the girls U/16 final where she put in a battling 5th place performance. 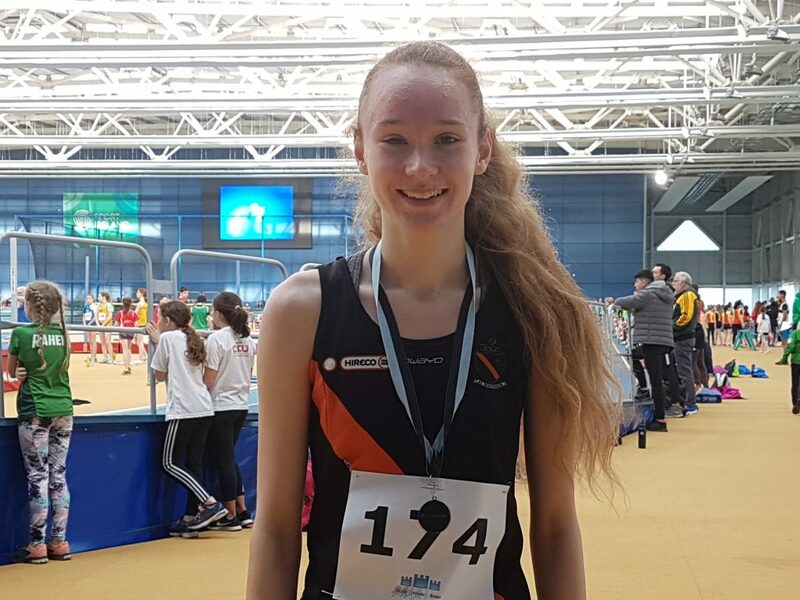 Orla O`Sullivan also battled her way into the U/15 final placing 7th. 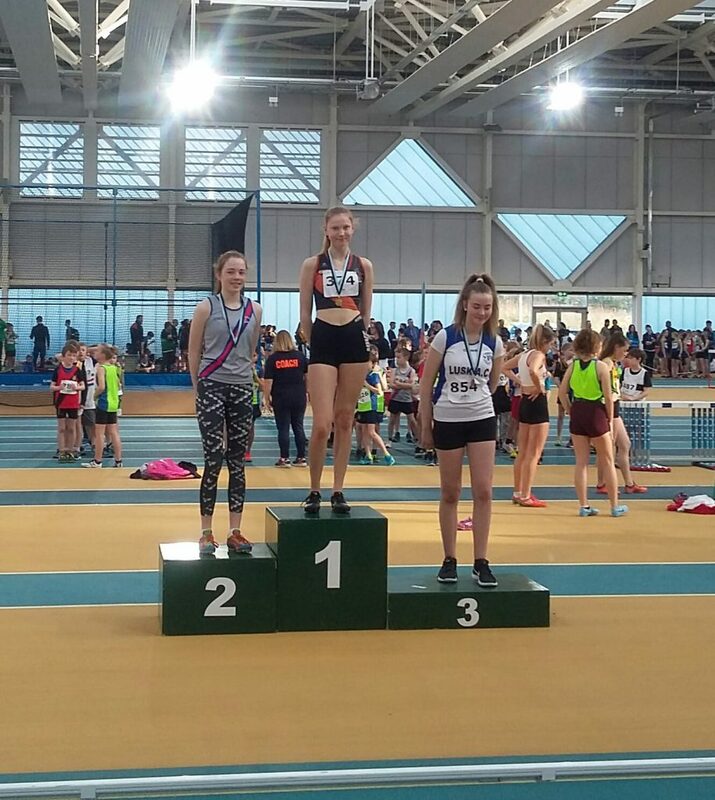 Sorcha O`Connor was another athlete to make an 800 final where she took a very good 4th place in the girls U/14. In the U/16 girls high jump Nicole Laply took gold with a hight of 1.45m, she also made the 200 final placing 6th. In the long jump Keith Burke had a fine competition only loosing out on bronze on count back! 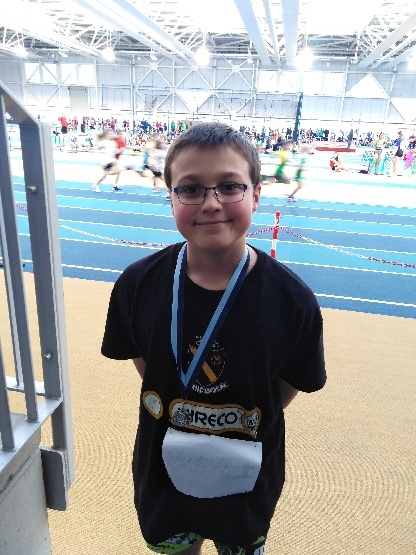 Making it a great weekend for the Norvaisas brothers Laimis won silver in the boys U/12 shot. 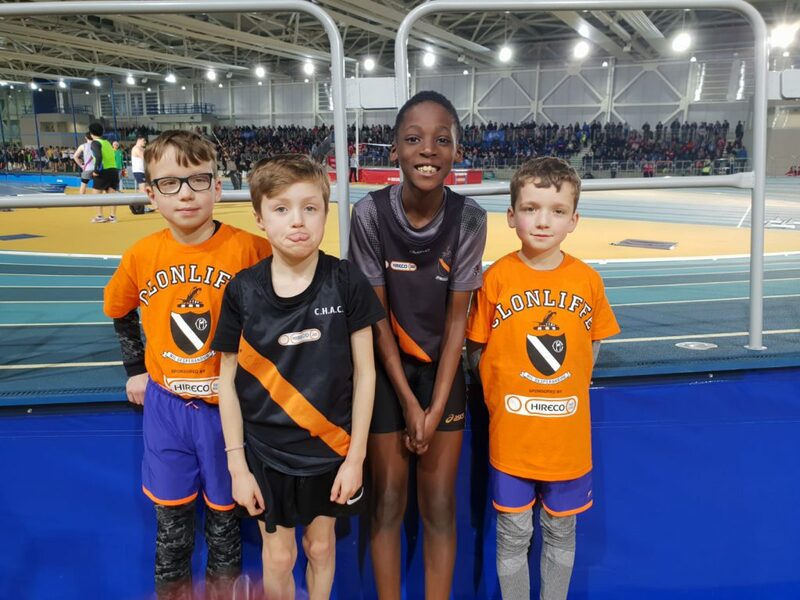 © Copyright 2019 ,Clonliffe Harriers.